They are a normal family with a normal family life – until the day REGINA happens. A wonderful sailing yacht, which minimizes doubts and fears and makes dreams come true. 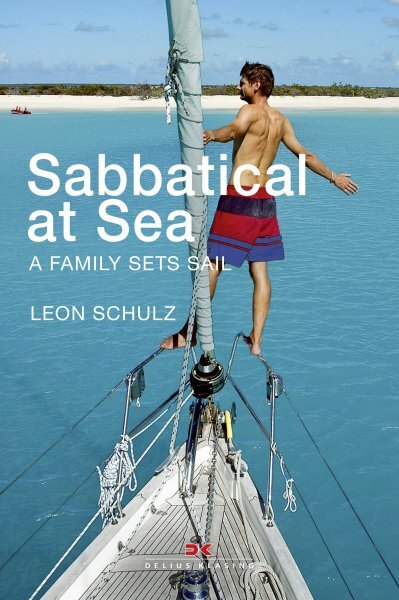 Packed with humour and self-irony, absolutely understandable and with extreme honesty, the author Leon Schulz describes, how an economically secure everyday life containing of mother, father and two school kids become a blue water crew. Not without concerns they give up their jobs, sell their house, sail across the Atlantic and experience the Caribbean and how lust for life, new friends and also some risky ventures lead to incredible strength and confidence. „Sabbatical at Sea“ is a unique book, which will encourage the reader to new experiences, without whitewashing linked difficulties and needed courage. As well, the reader will find useful sailing tips to make sure anyone who sets sail in the same way will be prepared.